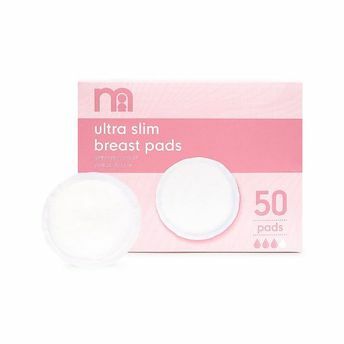 Mothercare Ultra Slim Breast Pads have been designed with soft contours for your comfort. In the late stages of pregnancy and after your baby is born it's common to leak excess milk. These pads are extra-absorbent and have a waterproof backing that will keep you and your clothes dry, plus they are extra soft for added comfort against your skin.